It's hard to believe that September has arrived. For most of us July crawled by while August just flew away. 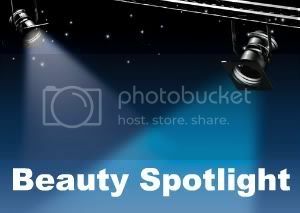 As we head into the 'back to school' season let's see what the Beauty Spotlight Team has to share. Lisamarie from Beauty Crazed is a living doll thanks to Lancôme Hypnôse Doll Lashes Mascara - go check it out, she promises that's the only part of her that's plastic! Beauty Info Zone went to Chicago and shopping was in the plans. See what “candy store” they visited. At Everyday Beauty, Zuzu's Petals stepped out of her red/rose lipstick comfort zone and tried the unusual and complex Laura Mercier Shimmer Lip Colour in Amaretto. Over at Lipstick Musings, Shannon takes a look at Chanel's Sophisticated Eyes Collection with a review and an EOTD with the Vanites Quad. See how she interprets the look! London Makeup Girl made a video showing the application and finish of a selection of products from Vapour Organic Beauty. See how she got on with them here: Vapour Organic video. My Beauty Bunny has just joined the team and starts off with an amazing giveaway. Check out the amazing Leaping Bunny prize and enter. Over at Makeup Merriment, Jeanie shares her thoughts on Josie Maran's SPF 40 protect moisturizer. Could this SPF be the *one*?? Modesty Brown gave us a first look at the Lost Weekend palette from BECCA's Fall collection. There's also a useful comparison to the popular Enigma palette, released earlier this year. Paula, from Older Girl Beauty, talks about all of the ways that MAC's "Prep + Prime" line can help prep your skin to be the perfect palette for your makeup. Madonna's Material Girl line at Macy's Launches Material Girl Cosmetics! Pammy Blogs Beauty tests out this fun and flirty line. Perilously Pale tempts us with the new Illuminating Powder Gelee from the Estee Lauder Fall 2011 Collection. Come see why this highlighter is almost to gorgeous to touch! Over at Pretty in Dayton, Styrch falls in love with Page 14 of the latest Sephora catalog and attempts the exaggerated Wing Liner look. Hair looking dull after all the summer abuse? Prime Beauty has an awesome giveaway for 2 lucky readers! Enter to win a Kelly Van Gogh, hair colorist to the stars Luxury MASTER BLEND hair colour kit (a $49 value)! Visionary Beauty shares an eye look of Rouge Bunny Rouge shadows, a change from the normal neutral/taupe looks-this has a bit of darkness with a hint of colour.